Product information "Cabrio Pro Comfort Module for Audi A4 8H Convertible"
the module does not contain any automatic anti-pinch protection so that it is absolutely necessary for the user to ensure that there are no objects or persons (especially children) in the area of the closing zones of the convertible top during the closing process. Therefore, it is imperative that the entire closing process needs to be watched by the operator. If persons are close to the convertible top, the locking procedure can be terminated immediately by pressing the radio remote control and the convertible top switch in the interior again. KUFATEC GmbH & Co. KG does not assume liability for any damage resulting from the failure to comply with these safety regulations. 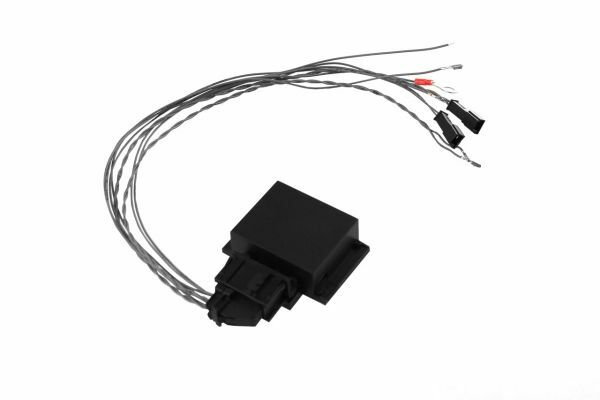 Customer review for "Cabrio Pro Comfort Module for Audi A4 8H Convertible"
Installation manuals for "Cabrio Pro Comfort Module for Audi A4 8H Convertible"